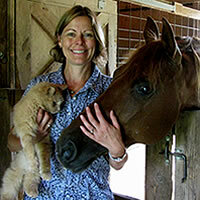 Dr. Heidi Mier works independently from The Dixboro Veterinary Dental and Medical Center located in the Dixboro Shops at the intersection of Plymouth Road and Ford Road in Dixboro Michigan. Dr. Mier also does home visits. Please call our office at 734-929-6539 for an appointment. Jill is Dr. Mier's one support staff. Jill can answer your questions on nutrition, implementing herbal and nutritional programs, managing diet change and weight loss, training, behavioral issues, scheduling and ordering. Our Fax number is 734-929-6632.